During our day in Siena we picked up a few supplies. 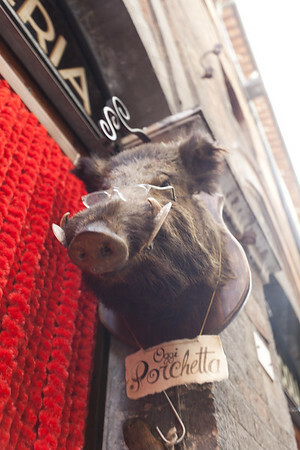 Most notably, at the sign of the Cinghiale, the Tuscan wild boar. 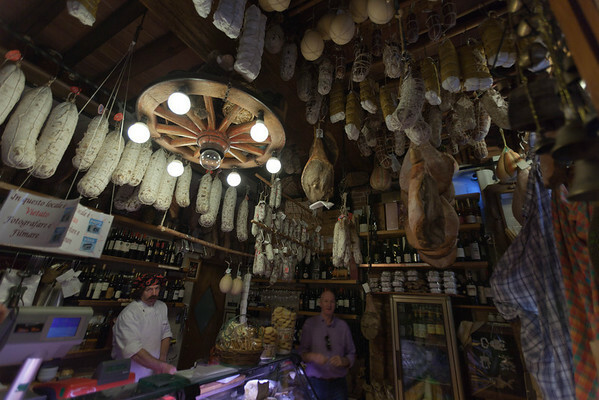 This funny little gourmet shop sells all sorts of big products — plus some cheese and wine. The don’t allow photos, but I stole this one of the inside. Zoome in and check out the salesman and his mustache! Back at our temporary “home” we opened this old Barbaresco. 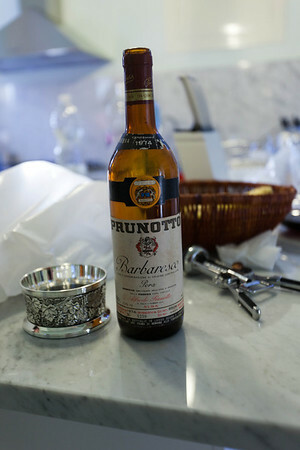 One of my brother’s friends in Milano had given it to him thinking it wouldn’t be good anymore — being almost 40 years old — but lo and beyond it was delicious. 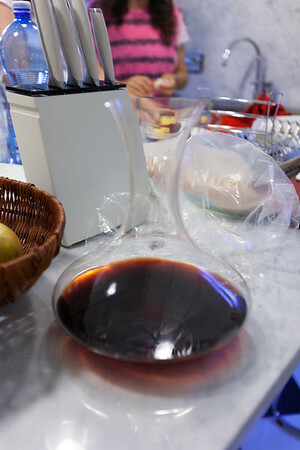 We did have to decant it to seperate out the sediment, but I managed to extract the cork (in 2 pieces) without loosing any. 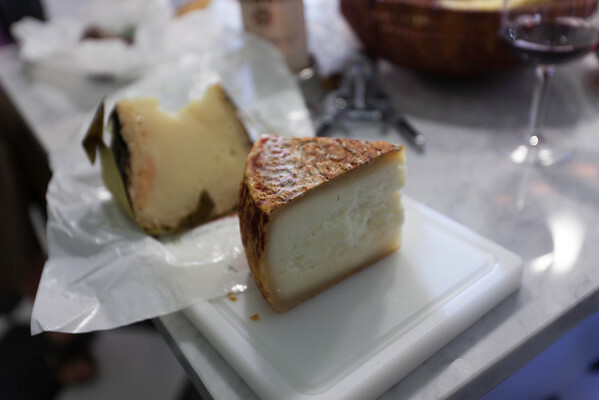 At the boar shop we picked up two kinds of pecorino, this fresher one. And this aged “good with old wine” one. 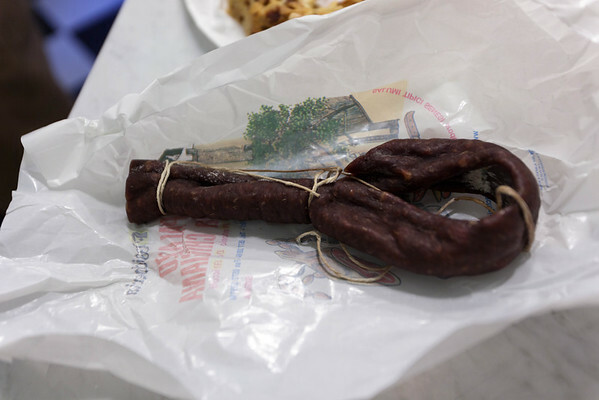 We also got some of this boar salami, pure wild pig mixed with Brunello! 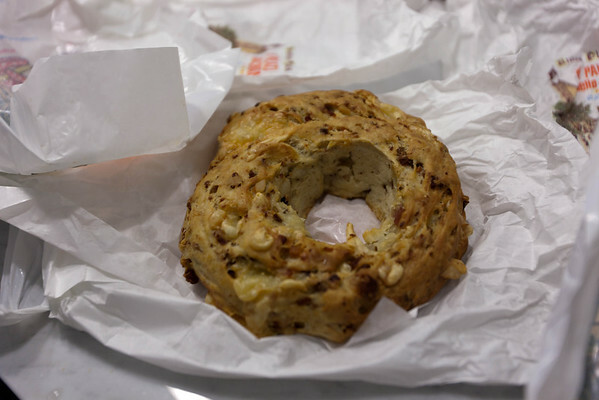 And this “Panna Rustico” which is hearty bread with pecorino and pancetta baked into it. 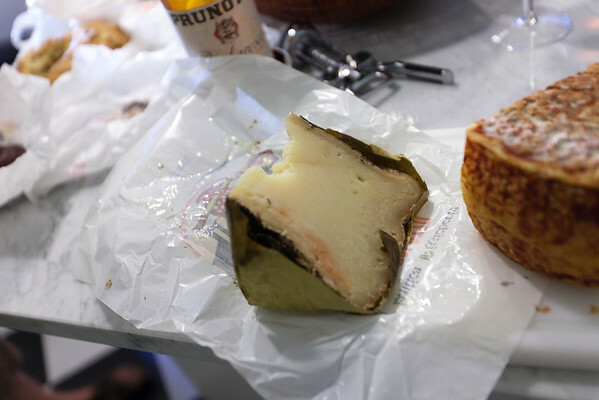 What more could you want with a nice old Italian wine but variants of pig and cheese? 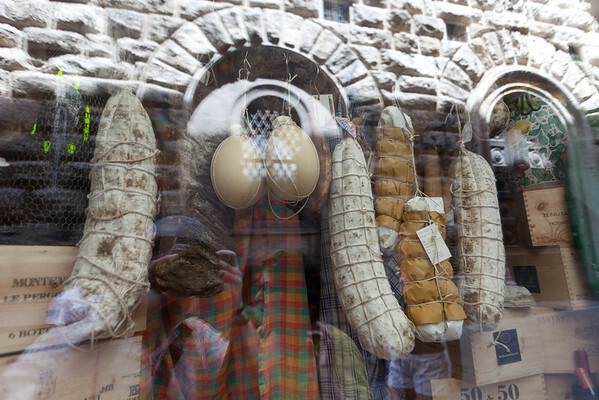 This entry was posted in Food and tagged Barbaresco, Cheese, Cinghiale, eating-italy, Florence, Italian cuisine, Italy, Pecorino, Salami, Siena, Tuscany, Wild boar, Wine.